Carpology magazine reviews our best selling carp barrow from TF Gear. 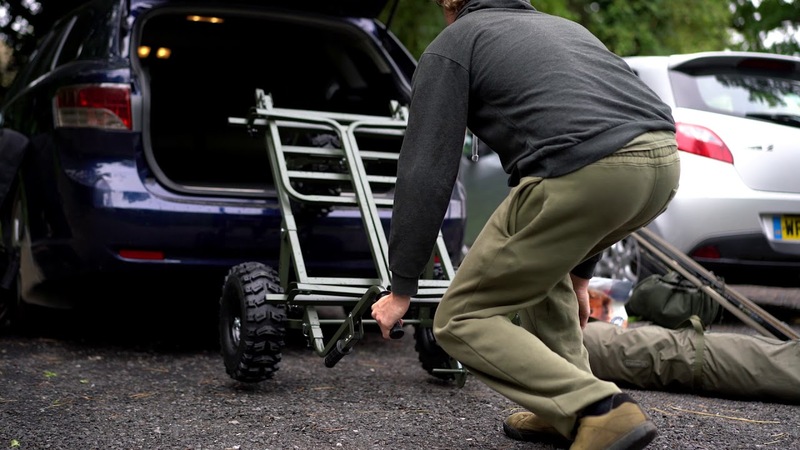 The TF Gear Juggernaut barrow is the only choice on the toughest banks, the only way to safely transport your precious tackle, the only barrow with the muscle to deliver everything you carry, no weight limits, no boundaries simply go anywhere you want. The Juggernaut has been engineered and tested to withstand more punishment than you could ever subject it to.